The USA is blessed with several (dozen) diet plans all with celebrity endorsement and most with a considerable cost attached. The UK has two well known brands, WeightWatchers and Tesco eDiets. Both offer better value than some of the elaborate and over complicated “scientifically researched” American focused counterparts. When the concept of a diet plan is broken down it becomes a very simple one. Educating yourself to expect less food gradually over time and changing your eating habits to move away from the high calorie foods to more healthy and less fatty foods is the first and main principle. In truth most diet plans work to some degree – it is just a process of picking one you are comfortable with and sticking to it. The major reason why a diet plan (or diet) may fail is you! Most dieters start their diet with good intentions and most lose some weight in the initial stages of their chosen method or plan – it is when the weight loss plateau is reached that the majority give up. It is those that have the determination and patience to over come the weight loss plateau that succeed. A weight loss plateau often occurs because the difference between energy intake and energy expenditure gradually balances – this feels as though your weight loss efforts are becoming in vein. The simple truth is that once you diet through the plateau your target weight is in most cases achievable. Firstly because it is tremendous value at around £1.50 per week – and secondly because it is devoid of hype and self promotion. When you join Tesco Diets you are asked for personal details such as height, weight, age etc… it is highly advised to be as honest as you can! Upon Joining you will be granted access to the online forum where you can participate in forum discussion centred around the topics of dieting and losing weight – and any other subject for that matter. 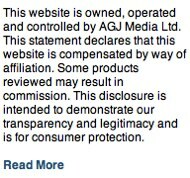 The forum is moderated by the staff of Tesco Diets who allow all comments, not just positive ones. 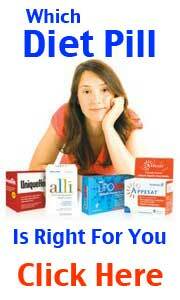 If you have a gripe about anything – vent your spleen! 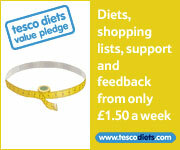 Some diets can be boring and focused around just eating less – Tesco Diets is anything but boring. One the most popular and most discussed is the Mediterranean Diet – this diet involves lots of fruits and vegetables a lower intake of red meat to improve cholesterol levels and plenty of fresh fish. 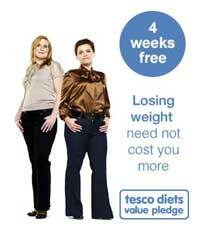 The Tesco Diet is not just focused on initial weight loss but permanent and sustained weight loss and healthy eating. The resources on hand are plentiful as you would expect from a major brand such as Tesco – you will be assigned a member of staff to oversee your diet plan and contact should you need additional one-on-one support. As mentioned above, the Tesco Diet plan does not rely on celebrity endorsement – all the success stories have come about from normal everyday people. There is no hype, no hard sell just a well thought out easy to follow diet plan that costs from under a tenner a month.